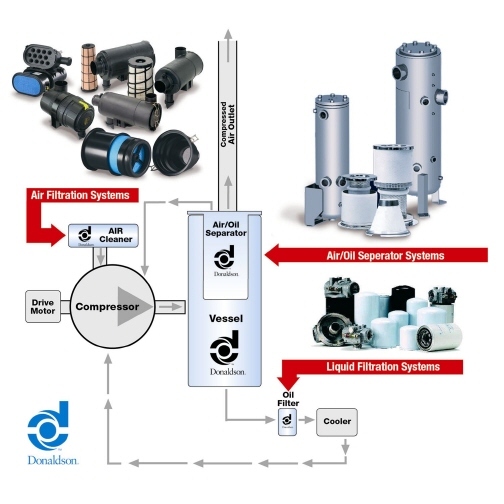 Donaldson delivers a complete system of filtration and separation products for compressed air and gas systems. Donaldson mobile and stationary compressor solutions include filter and housing for air intake, air/oil separators, lube, fuel and coolant filters, along with our Ultrafilter brand compressed air filters, dryers and condensate management products. Dryers and Condensate Management, Industrial Housings, Process Housings, Industrial Filter Elements, Process Filter Elements.